I bought this cardigan long time ago. I wore it to school only because I couldn't find the best match for this cardigan. After a quite long time being the 'forgotten' one, I found this cardigan again and decided to pair it with a peter-pan collar top from gowigasa and pink skirt from bershka. Speaking about peter-pan collar, don't you think a lot of people wear this thing nowadays? Even there are a lot of tutorials to make a peter-pan collar. Yesterday I googled about it and tried to make one for myself. Well, I succeed making the base part, but when I decided to decorate it with pearls, it turned out to be very ugly, and it became heavy! (Maybe I put too much pearls on it). And then I tried to make another one, but this time I used polkadot fabrics. I had to sew it, and again for the umpteenth time, I failedd! T.T . Tomorrow I'll try again to make it, please wish me luck! beautiful combination of the collar & the cardigan girl! you look so cute and adorable! you're so cute on that outfit! Speaking of love, I love this look. Your cuteness shines like the sun here! This is an absolutely charming look for you. 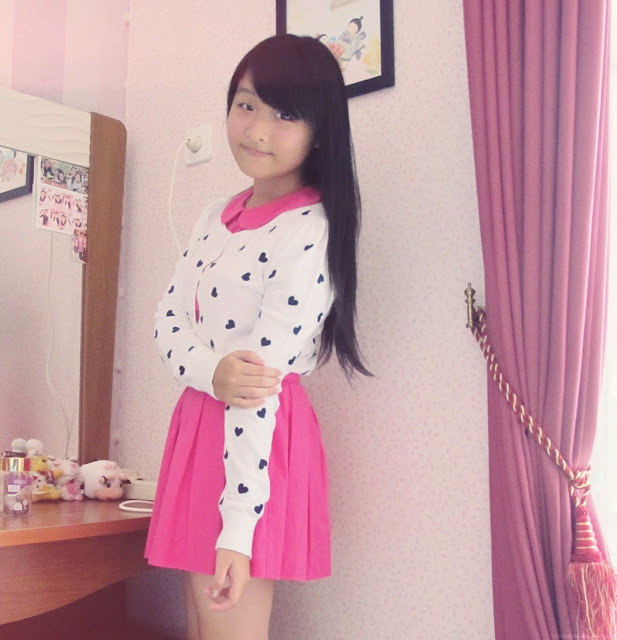 The bold pink colors complimented by the white sweater with black hearts just equals a very lovely look for you. Pretty hair and face as well. You're a total cutie! I thought it's a pink dress..XD the color match perfectly and your cardigan made it prettier~ :D hehe..
super love you style.. !!! you look amazing, and that color match you perfectly! anyway i'm watching Shut Up Flower Boy Band too! are you a kpop fan? Hayyy!!! I got a new blog, come see plz! 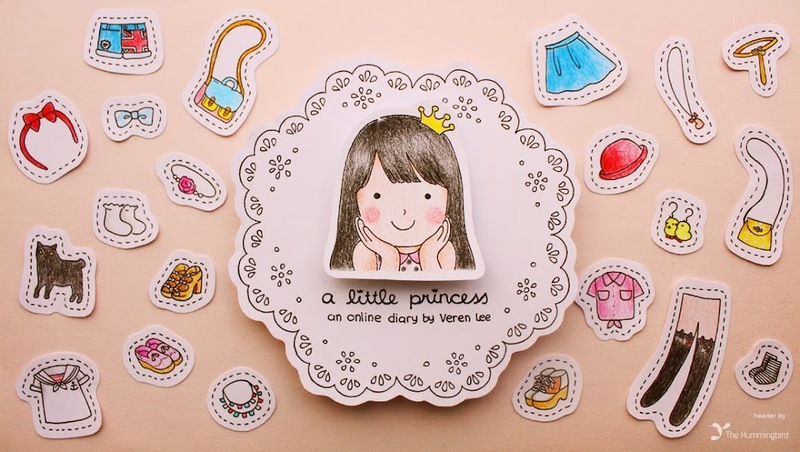 I've just come across your blog, and its wonderful! Love your style so much! 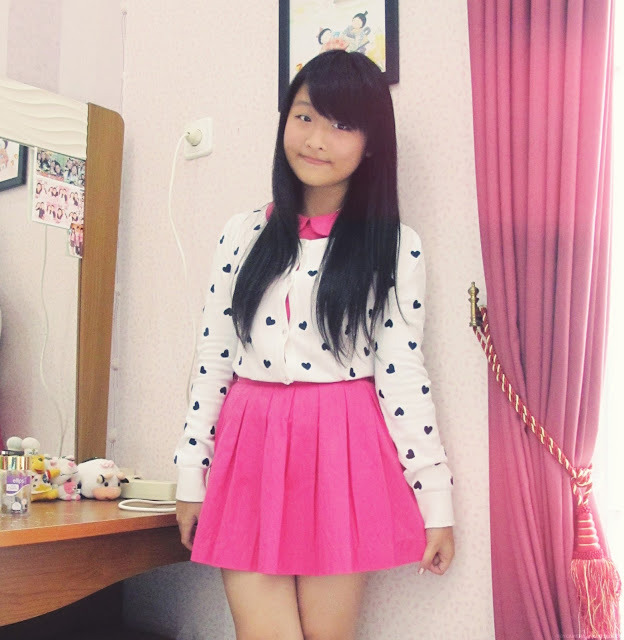 veren i love how you pair it with the pink outfit! verennn so cuteeee! *pinch pinch pinch* i love your pink outfit! 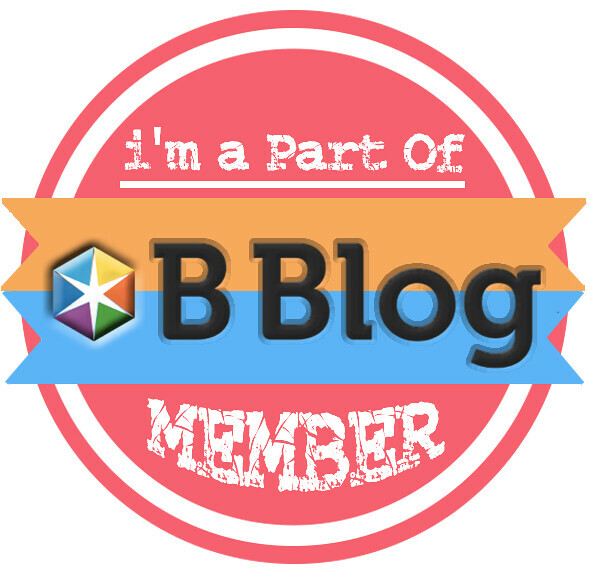 I've follow ur blog,mind to follow me back ? 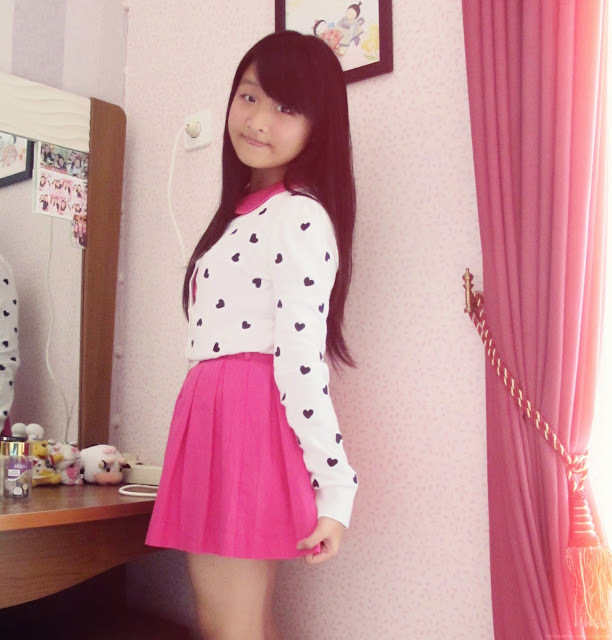 i love the pink skirt <3 love the color so badly! I agree about peter pan collars! But I love them, I'm so happy they are trending right now! I always been such a fan but they're not as common to buy compared to pointed collars. Good luck on making new ones, can't wait to see what you come up with! this is by far the cutest of all the cutest of all your post. I love the the whole collar craze and I'm rooting for you in finally getting it done right. Goodluck. With that said, I was awarded with "Stylish blogger Award" with it comes with rules to pick 15 bloggers I feel deserving of the award and I have chosen you as 1. Please check out my blog post about it for other details. your collar top and skirt look like a dress. nice color though! are you also listen to Sungjoonie's song! This is such a sweet nice look and I like the fact you dress according to your age, not pretending nothing else :) Congrats on that and keep on going that way.